Sorry, your browser does not support the audio tag. Alberto Rios: Welcome to Books & Co. I'm Alberto Rios, your host. Bienvenidos! We're joined today by noted poet and educator, Peggy Shumaker, who's going to be talking about her book, Just Breathe Normally, published as part of the American Life series by the University of Nebraska Press. Peggy, welcome. Alberto Rios: This is a book that is difficult to talk about because its source is difficulty. And as such, it's fragmented, and all sorts of things happen as a result of that fragmentation, but the greatest gift is that we arrive at some grace. We'll explore that in a moment. But I wonder if you could talk about what set you -- what got you started writing this book, and I'm stumbling a little because I know there's something at the heart of this that's difficult to talk about. Peggy Shumaker: I'll just tell you that for most of my writing life I wrote poems, and I wrote prose only when people asked me to. A friend called up and said, I'm doing a book of women's road stories, do you have one? Sure, and I started typing. But this book came from a kind of urgency that I hadn't had before. My husband and I were riding bicycles on a bike path in Fairbanks, Alaska, and a teenager on a four-wheel A.T.V. came around a blind corner and ran us over. And I very nearly died. Alberto Rios: You took the brunt of that. Alberto Rios: It's almost a return to childhood in terms of reinventing writing. Peggy Shumaker: Absolutely. I had to teach myself to read and write again. I had all these little things. They came from different parts of my experience, from stories people told me, from childhood experiences, from historical events, from my own adult life and there was just this big mass of nonfiction. Alberto Rios: And along with that people were now telling you your own story, because you had no memory of it. Peggy Shumaker: I had some memory, but it was very disjointed and fragmented, and unreliable. Alberto Rios: So how much of that did you work with? Did you feel like you were weighted toward the tragic part or the stories people were telling that you were not so centered in hospital and so centered in those sorts of things? Alberto Rios: One would imagine. Peggy Shumaker: But I have the moment that my grandfather builds his own mother's coffin. I wasn't present, but I heard that story many times. And because that story was entrusted to me, I believe it's part of my memory. And I'm allowed to put it in. Alberto Rios: And who else could tell that story? Peggy Shumaker: There is no one left who would be able to tell that story. Alberto Rios: This is in that sense a book of fragments. Alberto Rios: And I wonder, we have a book ultimately, which is probably defined as a narrative, and fragment seems counter narrative. Peggy Shumaker: It seemed that way to me too. Alberto Rios: Do you think, does this end up being perhaps a large poem, or does it become a narrative? Peggy Shumaker: When I first was writing these pieces, I jammed a bunch together and thought, it's an essay! And I sent it off with some others, and the woman who became my editor later, very kindly said to me, "these other things are essays, but the stuff that centers around the wreck, I think that's a book." I thought, no! Don't make me go back! I had a lot more to write, but she was correct. That there was a whole lot more there. And I showed, when I was about 100 pages in, I showed the pieces to my colleague in Alaska, and he said, "Well, Peg, it's pretty fragmented. Maybe you can make it more fragmented?" And he gave me permission to keep working in the brief form. Editors love the brief form. You don't have to condense them, you have to condense them to one page. They love the concise form and many of the techniques I use as a poet came into play here. Alberto Rios: You're hit can the concise form with actual content. Peggy Shumaker: Absolutely. The precision, the sense of distilling things down, the language, the sounds became paramount. Alberto Rios: Language and sound is something you've worked a lot with as a poet. How did that serve you, do you think, as a way to find a path through all of this? Peggy Shumaker: When my fight was completely disrupted, sound became even more vital, when my sight was disrupted. That involved paying attention to sound, and when I could read again, paying attention to the sounds the words made, and how those create meaning. Alberto Rios: You had this recollective sensibility in the book, you have the event itself, which is acute in our faces, and yours very, very clearly, but you have a retrospective equal happen. It's about childhood, about growing up in that particular process, you pull no punches. You concern yourself with what the truth is, what is the truth, whose truth is it, you're not afraid to name names, and I wonder if you would have written that without this accident. Peggy Shumaker: I'd written bits and pieces of it in the poems earlier on. But it didn't cohere in the same way. As cohesive as the pieces can be. It didn't come together in the same way that it did until this book. Some people have said to me, did you have to wait for both your parents to die? And that wasn't the motivating factor, but ironically it did turn out my father died while the book was in press. Part of me wanted to pull it back and say, wait, there's more, but I knew the book was its own being at that stage. Alberto Rios: And you have references to your father, to your upbringing, your father and your mother both, your family. But I think the way you draw poignancy from those references is complex, and it is a gift to the reader. And I think there are moments of poetry in the midst of all of this greater -- we can call it fragment or narrative, but you have these moments of great poetry, and I'm going to read one of the lines in which you discuss your father, and it was a compelling line to me. A hard line to read, it's going to be a hard line to read aloud, perhaps it's a hard line to hear, but I'll be interested in knowing what you think. The line is, "Father, I am ashamed of how ashamed of you I've always been when I know so little and that little learned by leaving." Peggy Shumaker: Yes. There was a time when I was filled with self-doubt, as writers often are, and I thought, who is going to want to read this book? And I thought, how many people have -- by divorce in my father had five wives. So he was creating chaos quite a lot in our lives. I thought, how many people have been damaged by alcohol? How many people have had the difficulties of parents who were spectacularly mismatched? Those things all came into being, into play in this book. As far as that line goes, I was trying in my own peculiar way to make peace with a man who shaped me in many ways, but who also did things that were reprehensible, often. And it was very difficult to live in the same household with him. It was difficult to be an adult and have him continue to do things that were harmful to my sisters and my brother. So I could not say that I was never peaceful with my father. But I do think that we came to a place where we could be calm. Alberto Rios: And that's a difficult arrival. Peggy Shumaker: It is difficult. Alberto Rios: You do it very well. You've come to similar understandings with other people in your family, and if we can jump for a moment to the accident, perhaps to the people involved in the accident as well. So it's working at many points in your life, and you're creating a matrix of -- I don't know if we can call it forgiveness. Perhaps you've got a better word for it. Peggy Shumaker: I don't know. There did seem to develop a parallel between the early life traumas and this actual physical trauma and getting through it. But everybody in the world suffers. Everybody in the world has tremendous loss. Everybody in the world has members of their family that they wish might act differently. And that's why I think that the book has something to offer to other people. I want it to bear consequence in other people's lives. Yes, those parallels did develop, as I was putting it together. I didn't do it entirely alone. There are some people who think that writers work entirely in a vacuum, but I shared this with different readers as I went through, and Judith Kitchen, who is a close friend -- you want to find your reader who knows more about what you're doing than you know, and Judith Kitchen’s edited three volumes of brief prose. So I showed her the manuscript, she showed me her novel in process, and we swapped. And we helped each other out. She suggested an order I tinkered with, but once she suggested that order, I could see gaps, I could see what I needed to fill in, and I could see possibilities for the book that weren't there before her take. Alberto Rios: Those blanks, that's also an echo of the physical situation you found yourself in. Sour talking about book and body both. Alberto Rios: Are there such a thing as small strokes? Not when you're living through it. Peggy Shumaker: I would say yes, because I still was able to walk, I still was able to feed myself. So in those ways they were not massive strokes, but they were big enough so that words were not immediately accessible to me, and in conversation, I was trying to think of a word, the conversation would fly by, and it was very, very -- I won't say debilitating, but it was irritating. Not to be able to participate the way I wanted to. Alberto Rios: You use add useful phrase, you wanted the manuscript of the book to bear consequence. To do something functionally important. You also raised the ethical question of responsibility. We would immediately perhaps think that you would assign that maybe blame or responsibility on others, but there's also the writer herself who is talking about accepting responsibility. Can you talk a little bit more about not the others, but you yourself who are both the speaker and the author? Peggy Shumaker: Sure. A whole lot has to do when you're badly injured. You have a responsibility, first of all, to take care of yourself and try to do what you can within your control in order to heal. But I'm thinking about the young man who hurt us, and I obsessed a lot with how the court system should treat him. I obsessed a lot about what his consequences should be. It wasn't my call. I didn't get to decide those things. He was adjudicated through the juvenile court system. At one point they talked about sending him to adult court and he could have faced up to 20 years in jail. He never got it. He never really understood that -- he never understood quite all what these court dates had to do with him. So I wanted for him to understand that he was a citizen and that he needed to be more aware of how his actions affected other people, but again, it wasn't my call. And so I was thinking, OK, what part is my responsibility? And I guess my responsibility was to write the book. Peggy Shumaker: I don't have a clue. Alberto Rios: Have you thought about that? Peggy Shumaker: I'm curious about what happened to him. All I know is that his family bought one of the oldest bars in Fairbanks. I'm curious, but I haven't been curious enough to find him. Alberto Rios: Maybe he'll be curious enough to come and find you at least on the page. Alberto Rios: Your life in general is the construct that enforcements this book. And it's been a life in some sense with much extremes. It's not just family, it's also landscape. You grew up in Arizona, you were born in California, but you lived most of your young life and into adulthood in Arizona. Alberto Rios: And then you made the move to Alaska. So these are two extreme environments. Could you talk a little bit about that? Peggy Shumaker: Sure. I was a child of the desert back when there was a lot more desert than there is now. Like you, had -- it seemed inexhaustible. It seemed as if we could go out into the desert with our canteen and peanut butter sandwiches and not come back until well after sundown, and nobody worried. It was a different kind of life. Alberto Rios: Canteen and peanut butter sandwiches. Well said. Peggy Shumaker: And you had watermelon. We didn't have so many. Then in the mid '80s I got a call -- I applied for a job in Alaska, a one-year sabbatical replacement job, and did I my interview over the telephone, didn't know a soul. They said come on up. I threw what I needed in my Honda car and drove up there solo. And I figured I'd meet interesting people, and I have. And I've been there part of the year ever since. Alberto Rios: There's a little fate in that, then. You didn't go there by design. Peggy Shumaker: It was an adventure. Alberto Rios: It was an adventure. Peggy Shumaker: And it was a one-year adventure. Alberto Rios: That continued and continued to this day. Alberto Rios: That's still where you live. Peggy Shumaker: That is home base. I still come here because my family is in Arizona and because my roots are in Arizona, but my husband has very long, very deep roots in Alaska, so we spend time there as well. But the good thing about being retired, I used to teach in Fairbanks so I would be there during the 50 below, and here during the 115. Now we can do it the opposite way. Alberto Rios: That is a luxury. You were not just writing as you were doing these things, you were also administering. So you had some responsibilities beyond just the page. You were the director of the creative writing program, and later the director, or the chair of the English department, University of Alaska Fairbanks. Alberto Rios: That notion of responsibility keeps coming up and up, and you've taken it in many guises, and you've effectively done it so that in this book, when you're confronted with somebody who doesn't take it or take to it in the way that you've sort of lived your life, that had to be striking and striking still. Peggy Shumaker: Well, it was stunning. Physically and emotionally, to just realize that someone could cause great harm and not recognize that his actions did that. Alberto Rios: And yet out of this counterintuitive moment, you drew literature. You drew something to say. Peggy Shumaker: Because I'm a writer. If I were a painter, I would have painted. If I were a chef, I would have created new recipes. We find our ways to transform -- we transform what we cannot make better. And we transform it into art if we're lucky. We transform it into something that is tolerable if we're not so lucky. Alberto Rios: It's a wonderful phrase. We transform what we cannot make better. There's so much also in the landscape that comes into the work. Light, things that are – you talk a lot about darkness. Peggy Shumaker: I have to tell you, in Fairbanks, the deepest part of winter, the sun barely creeps up along the horizon, and just limps a little and goes back down. And when I first got there, I thought, something happened! And the darkness was much more daunting than the cold. Even though there is beautiful reflection off the snow, the Aurora sun paralleled, and nobody told me the Aurora doesn't stay still, it moves after over -- all over the sky. But I missed the light that we have here. I missed that clear, cleansing light. Now it's -- in Alaska they're gaining six or seven minutes every day. So the light is dramatic. And you can't avoid noticing it. Alberto Rios: If you haven't experienced that, I guess it's going to come to something -- we wouldn't call it a culture shock, but it's a physical shock. Peggy Shumaker: When I first moved up there, when it was cold and dark, I cooked and ate all the time. Truly, I needed comfort, reassurance. Alberto Rios: I wonder if you could read a little bit of something out of the book. Alberto Rios: That would give us a little bit of grounding. Peggy Shumaker: Because you brought up that phrase from my father -- . Alberto Rios: I wonder if I can repeat that phrase. Alberto Rios: Boy, was he. Peggy Shumaker: Some people when I first read this would say, "I kept getting mixed up between the guy and the -- on the motorcycle and the father." It is the father. The provider. Both arms around your waist, I buried my face in the cracked, black leather of your jacket. The throaty Harley leaned too far, throttle cranked, hot pavement chewing up our foot pegs. Any stray patch of gravel, suicide. Leaning and wounded, never young. You loved pure speed that bike, and me. Though I had no way to see it then. I was 15, amazed at my body, and amazed at you, all 6'6", shutting down with one look, whistles and hot talk as we eased, blinking out of the desert into the beachcomber. Shut down everybody. Then turned for the first time to look at me not as your elbow or toe, there all the time, ease I to bump. But the woman me. The one so far away, I'd left before you noticed I could run. My showing up slowed you down. Made you trade in your tunes, your bike, your axe. Your life, a down payment on mine. We both got took. You soured, smelling Chevy’s and office machines. I took care of the little kids. Once I brought a college friend to your house, your fourth wife staying with you, bad, bad Leroy Brown, and one note samba, you clunking along on the clarinet, the canned drums thumping like tired pistons. It was 10:30 in the morning. A picture of -- pitcher of salty dogs already loosened your joints. We sat on the red velvet overstuffed still shrouded in double-duty plastic. George Wallace, you said, the only clear choice. I left. Father, I am ashamed how ashamed of you I've always been when I know so little, and that little learned by leaving. Your absence has carved in me a place that Hales like a cactus shell -- hard, fragile, secret. The deepest gashes, shelter for some bounding pack rack or startled cactus wrens. Peggy Shumaker: I think what's interesting is the kind of time travel that occurs, and the shifts in points of view that occur when you're dealing with things that happened generations ago, things that happened days ago. And they comingle. Alberto Rios: You know, family in general has so much to do with your book. Your mother I think died when you were quite young. Peggy Shumaker: I was 16. Alberto Rios: You were 16. And she plays a part in the book too. Peggy Shumaker: Do you think after death people stop being in your life? Alberto Rios: There you go. It’s that it. Peggy Shumaker: Definitely not. And leftover love that you carry around can be a gift that you bestow on others, or it can be a tremendous burden. But there are complex feelings that continue as long as you live. That's part of it. Alberto Rios: Well said. Where else do we go with a book like this? Now that you've covered it in this sense, the accident, and perhaps much of your life, is there a second way to rethink through all of this? Peggy Shumaker: Oh, there are many, I'm sure. Alberto Rios: Could you write this book again? Peggy Shumaker: I wouldn't write this exact book, but I'm sure there will be facets of the things that I've dealt with here that will show up again. For example, when I was first writing I thought, how can I write a memoir – someone suggested it was a memoir. I didn't know what I was doing. That's one of the virtues when you begin writing. My memory is not to be trusted. It was filled with holes, it is completely damaged. How can I do this? And I realized, so is everybody else's! Nobody has the complete picture. And that was great, it was a tremendous liberation when I realized I'm not responsible for the entire truth. I don't have access to the entire truth. Alberto Rios: That's a great line. The whole book is on memory. What was damaged. At least in the short-term was memory. Well said. Well, I think with that we're going to thank you very much. We've been talking today with Peggy Shumaker, about her book Just Breathe Normally. I'm Alberto Rios. For Books & Co., thank you very much for joining us today. We hope to see you again very soon with another good book. Just Breathe Normally opens with a traumatic accident. Shattered perceptions and shards of narrative recount the events, from wreck through recovery and beyond. In lyric prose, the stories spiral back through generations to touch on questions of mortality and family, immigration and migration, legacies intended or inflicted. In the wake of her near-fatal cycling collision, Peggy Shumaker searches for meaning within extremity. Through a long convalescence, she reevaluates her family’s past, treating us to a meditation on the meaning of justice and the role of love in the grueling process of healing. Her book, a moving memoir of childhood and family, testifies to the power of collective empathy in the transformations that make and remake us throughout our lives. We all live with injury and loss. This book transforms injury, transforms loss. Shumaker crafts language unlike anyone else, language at once poetic and profound. Her memoir enacts our human desire to understand the fragmented self. We see in practice the power of words to restore what medical science cannot: the fragile human psyche and its immense capacity for forgiveness. Learn more about Peggy Shumaker. A blockbuster novel and global theater phenomenon for over 150 years comes to life in a multi-layered retelling of "Les Misérables," this time as a dramatic six-part miniseries Sunday nights at 8 p.m. on Arizona PBS. 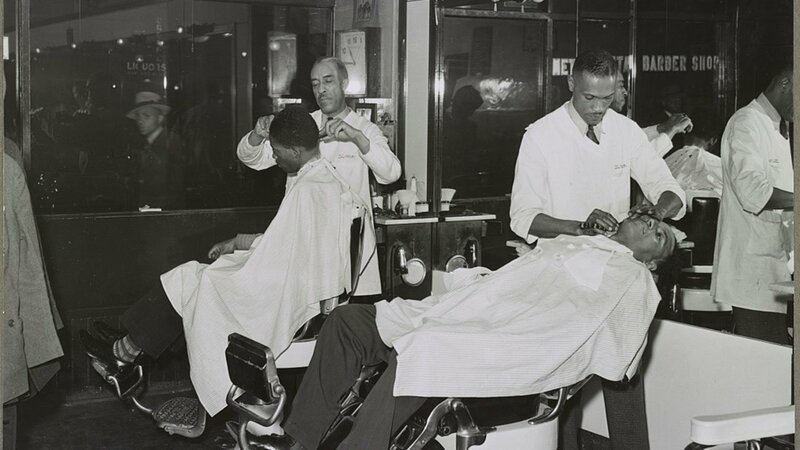 The history of business and entrepreneurship lies at the heart of the American story, but often absent from that narrative are the experiences of African Americans. "Boss: The Black Experience in Business" tells some of those forgotten stories and trends Tuesday, April 23, at 7 p.m. on Arizona PBS. 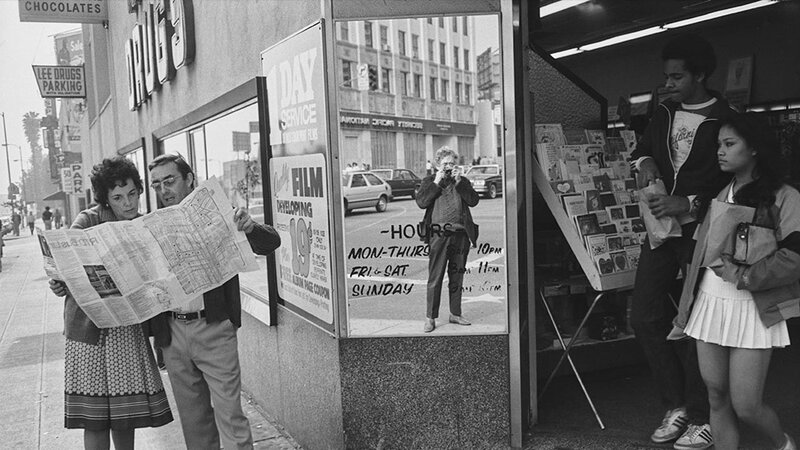 Discover the life and work of Garry Winogrand, the epic storyteller in pictures who harnessed the serendipity of the streets to capture America during meteoric, oft-turbulent change in a new American Masters biography Sunday, April 21, at 2 p.m. on Arizona PBS. Arizona PBS is a member-supported service of Arizona State University.